An international trailer for Far From Home has been released with more footage. It is safe to say that you are prepared for more Spider-Man activity. 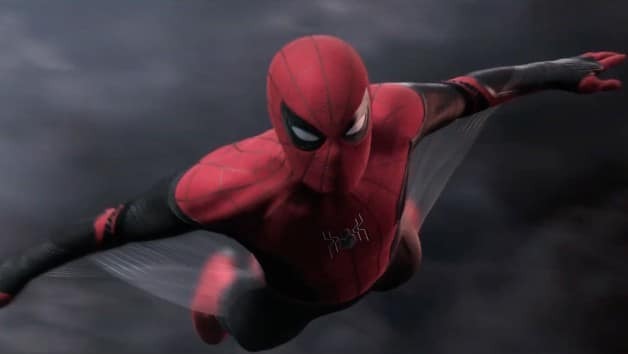 Prior to today, the first trailer for Spider-Man: Far From Home went live, thanks to Sony Pictures and Marvel Studios. Presently, an international trailer for the motion picture has gone live, and the clip prods some comical new film of the universally adored wall-crawler. As should be obvious over, the fresh out new trailer starts with some sweet new footage of Peter Parker in the entirety of his awkward glory. The high schooler can be seen strolling through an aeroplane terminal with a recognizable bag in hand. After a dog denotes the gear, Peter Parker is compelled to demonstrate his things to remote security operators as he endeavours to enter Europe for a school trip. Obviously, this is the point at which the guard finds an all-packed Spider-Man suit in the bag courtesy of Aunt May and Peter… all things considered, his silly grin says everything. Fortunately for him, the security specialist couldn’t think at all about his super suit. With regards to understanding that visa stamp, the only thing remaining among Peter and his late spring vacation is a banana. As the trailer proceeds with, fans are given some new scenes as shown in the original trailer. After Peter gets his banana reallocated by agents, a short montage is seen with Michelle and others as they experience security. It doesn’t take long for Ned and Betty to venture up to the counter, and the trailer archives their class’ movements through Europe starting from that point on. Spider-Man: Far From Home hits the theatres on July 5th.